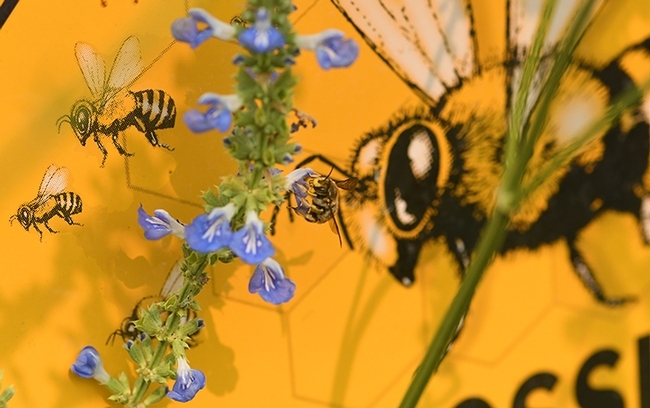 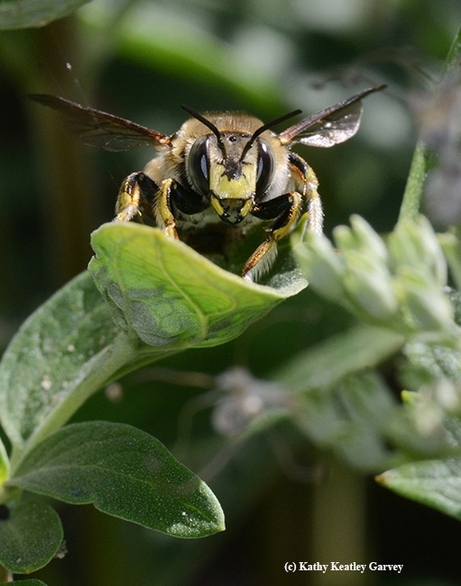 He's the bully in the bee garden. 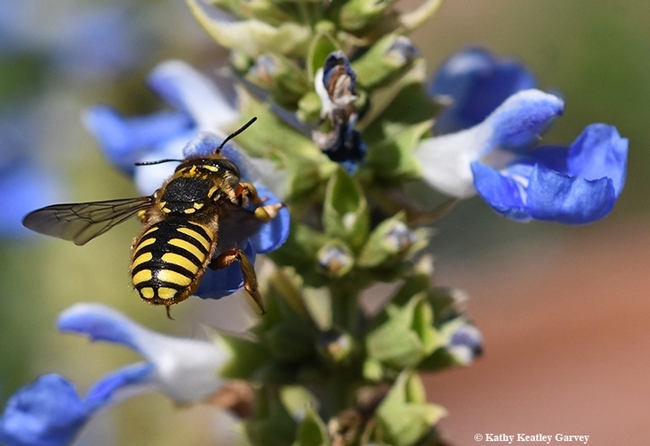 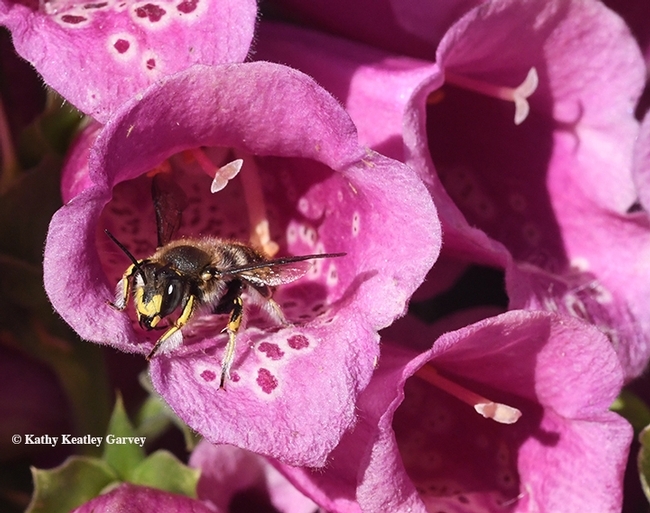 If you've ever watched the male European wool carder bee (Anthidium manicatum) patrolling "his" flower patch, you'll see him targeting insects several times larger than he is. 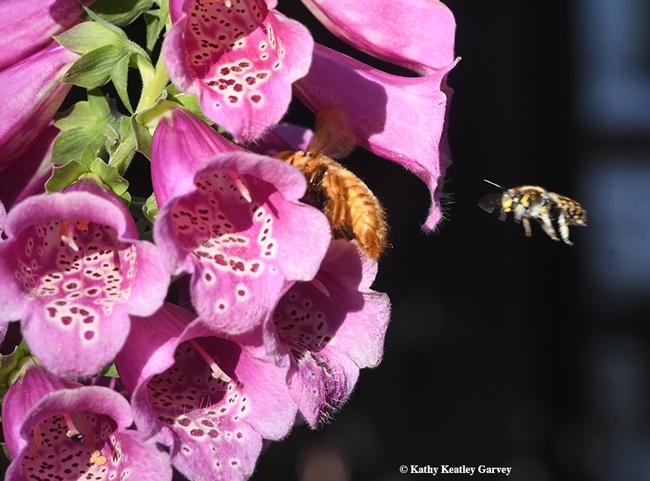 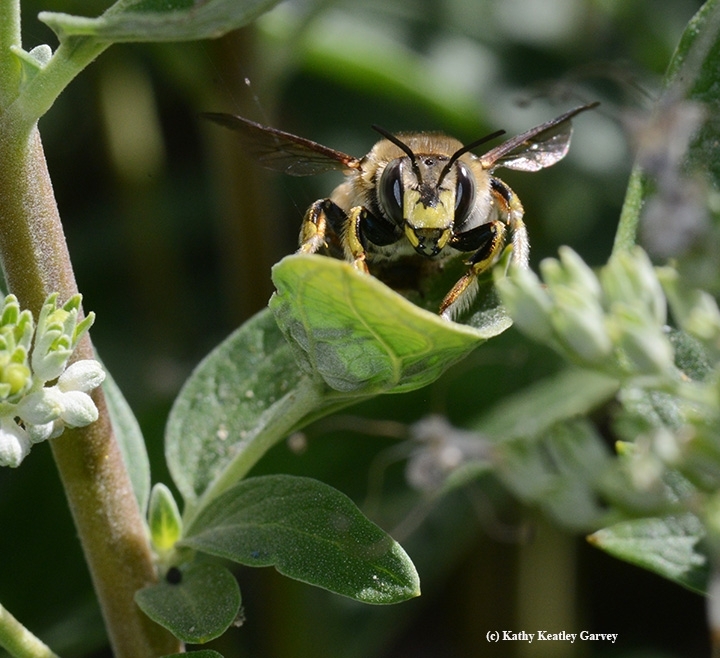 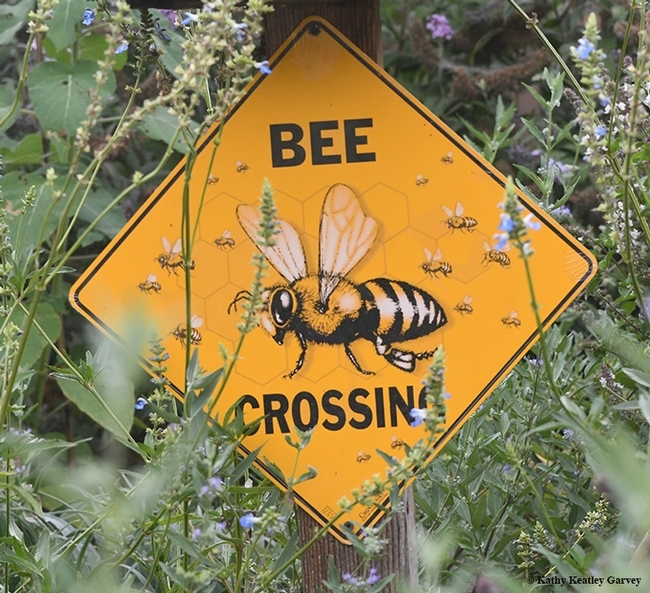 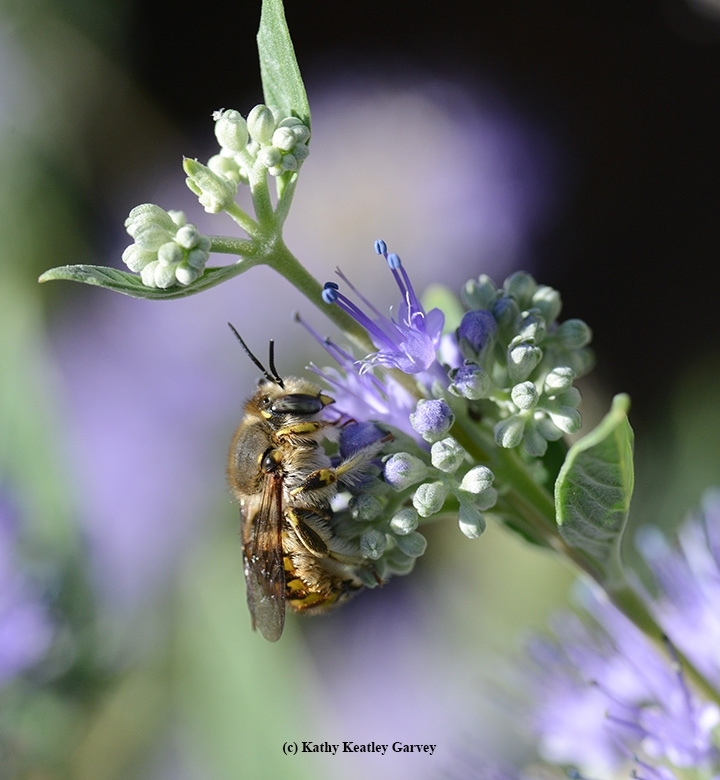 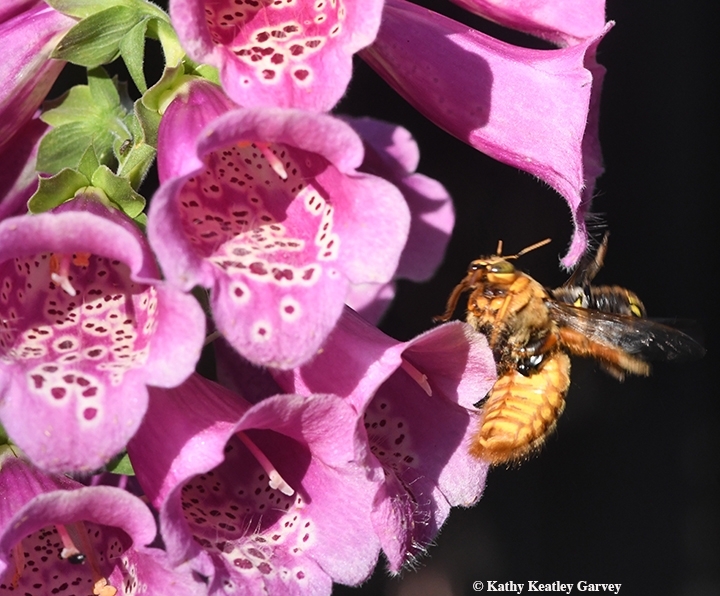 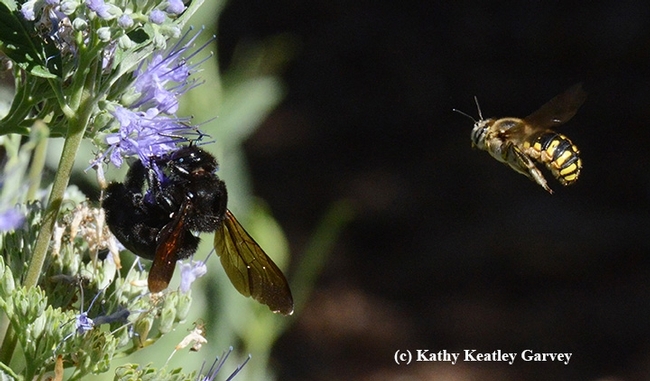 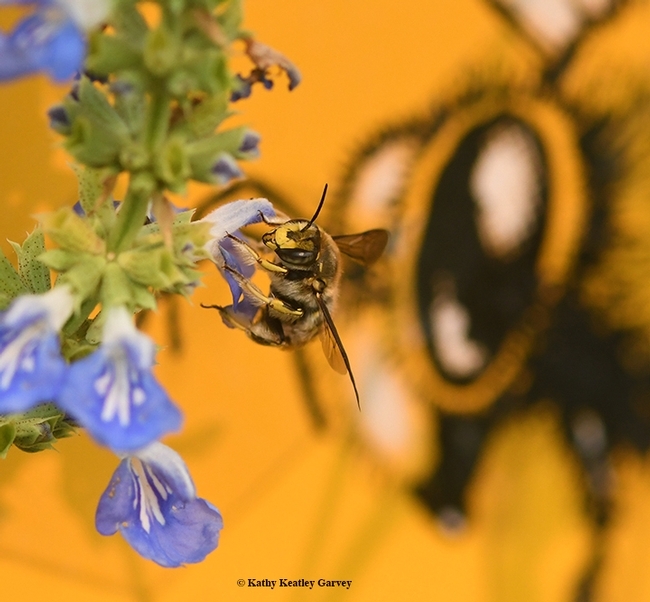 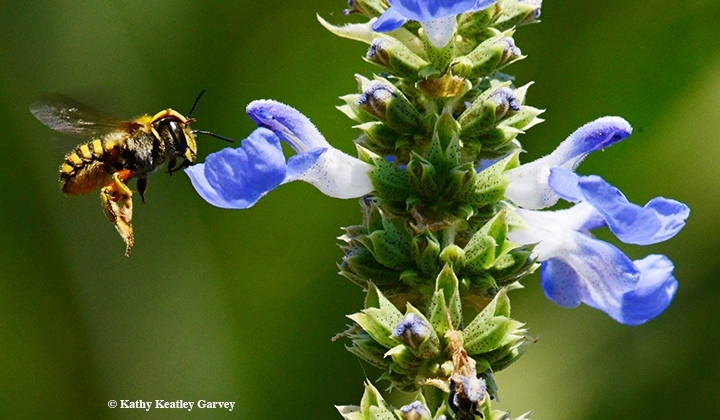 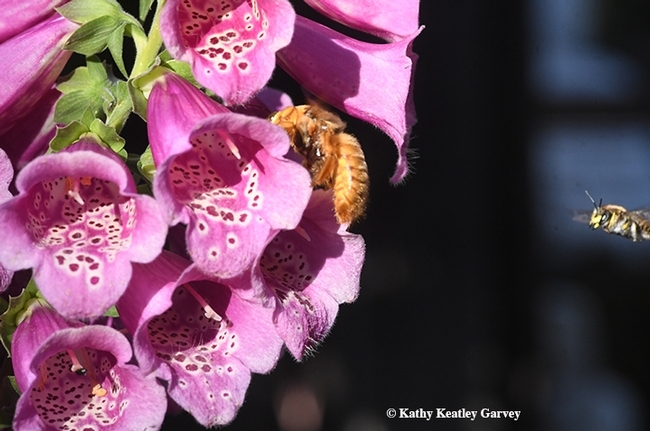 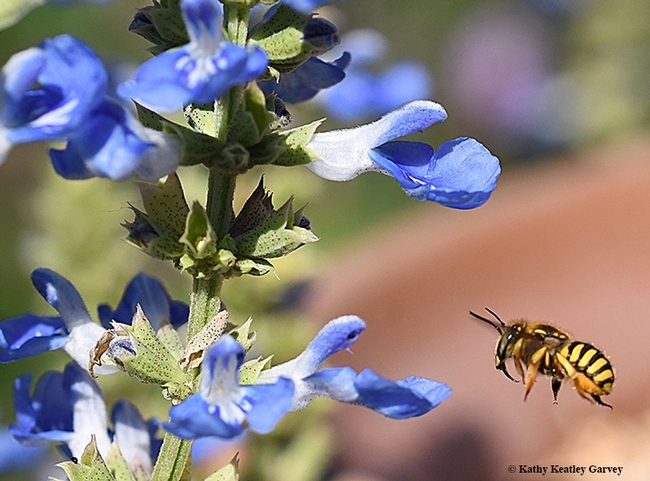 Take the case of the Valley carpenter bee (Xylocopa varipuncta), one of the largest bees in California. The female is solid black, while the male is a green-eyed blond. 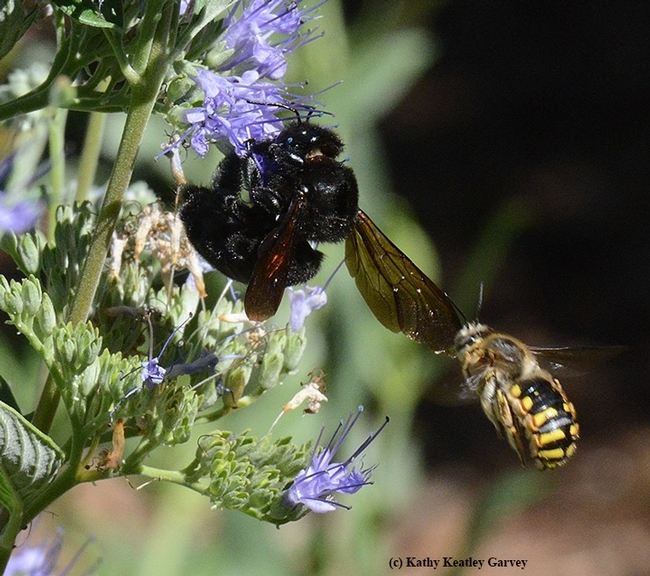 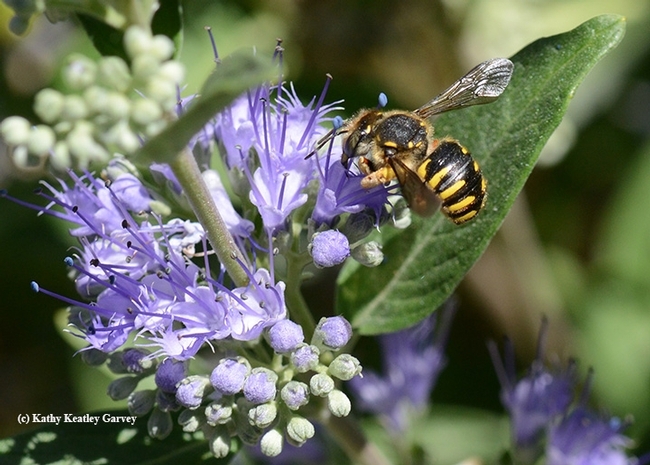 Last week we were watching female Valley carpenter bees trying to gather some nectar from a bluebeard (Caryopteris x clandonensis) when the much smaller male carder bee dive-bombed her. 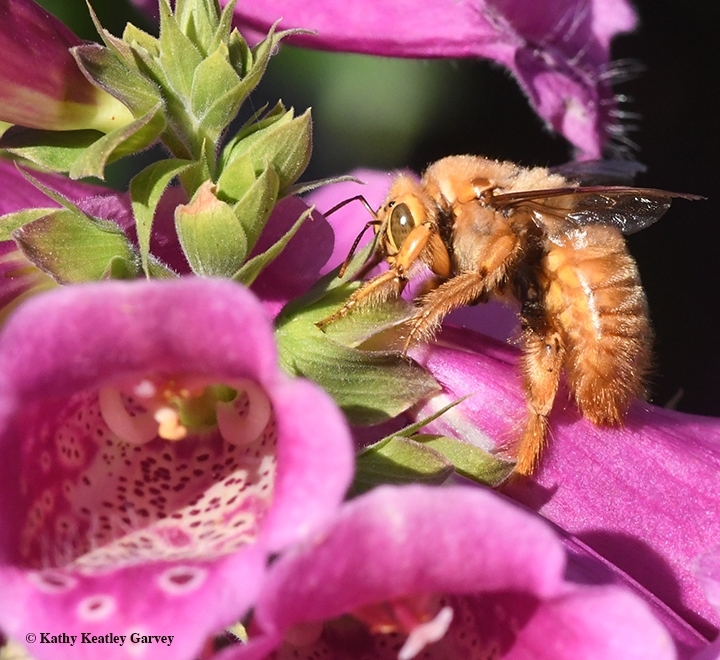 The male was also dive-bombing and body-slamming honey bees, sweat bees leafcuter bees and other bees, in addition to butterflies. 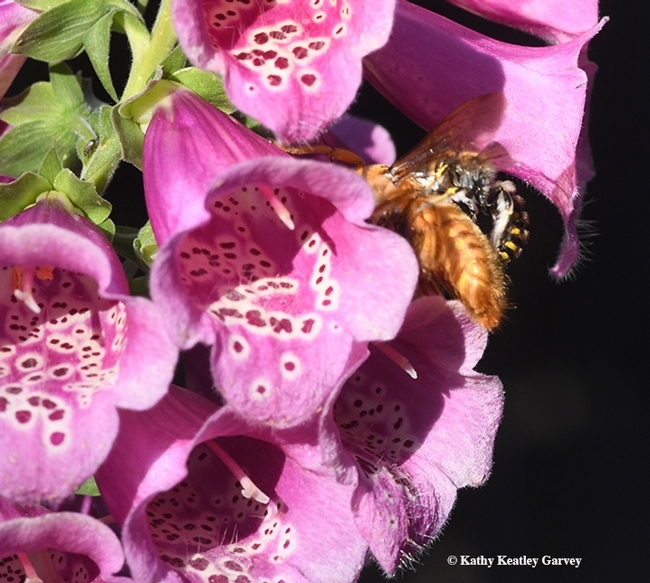 They do that to "save" the flowers for their own species and perchance to mate! 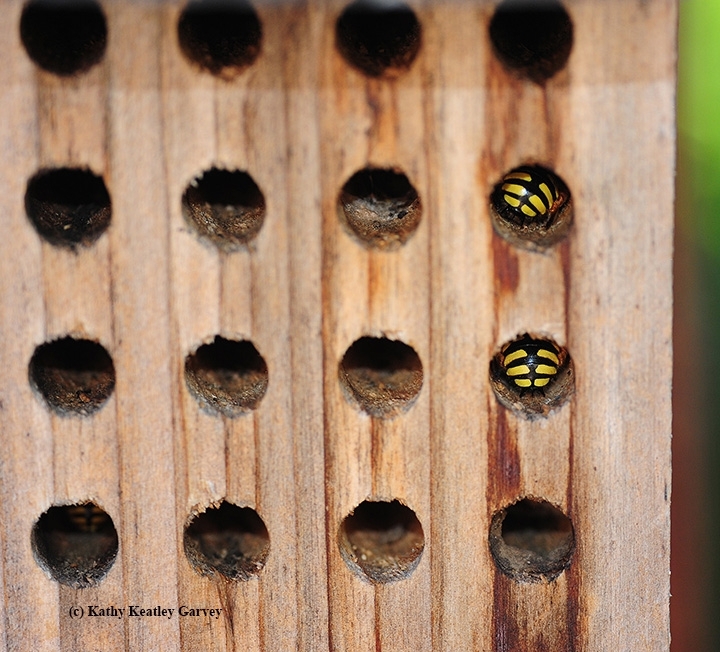 As the sun set, the sleepy male carder bees headed over to a bee condo to grab some shuteye. The bee condo was meant for nesting blue orchard bees (which pollinate the almonds in the spring). 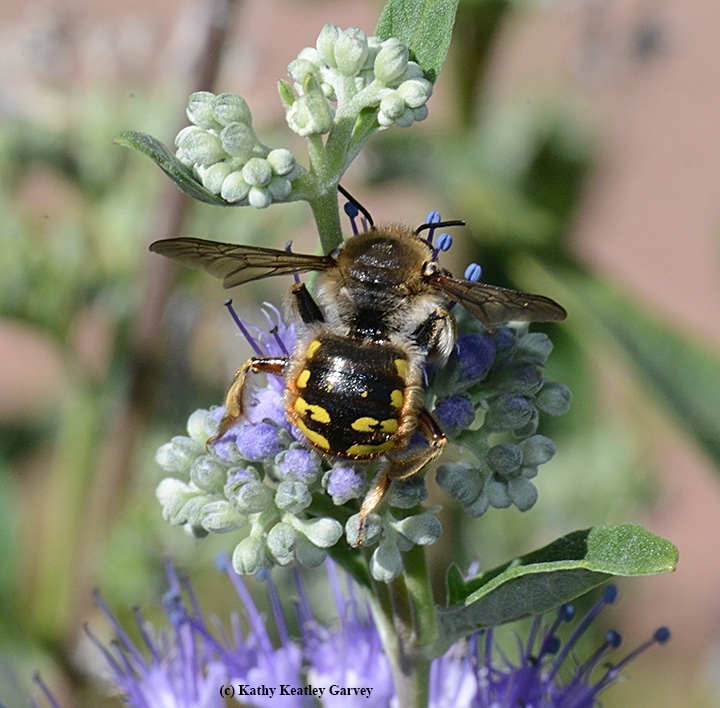 Bee condos can also be occupied by other critters, including spiders, wasps and European wool carder bees!